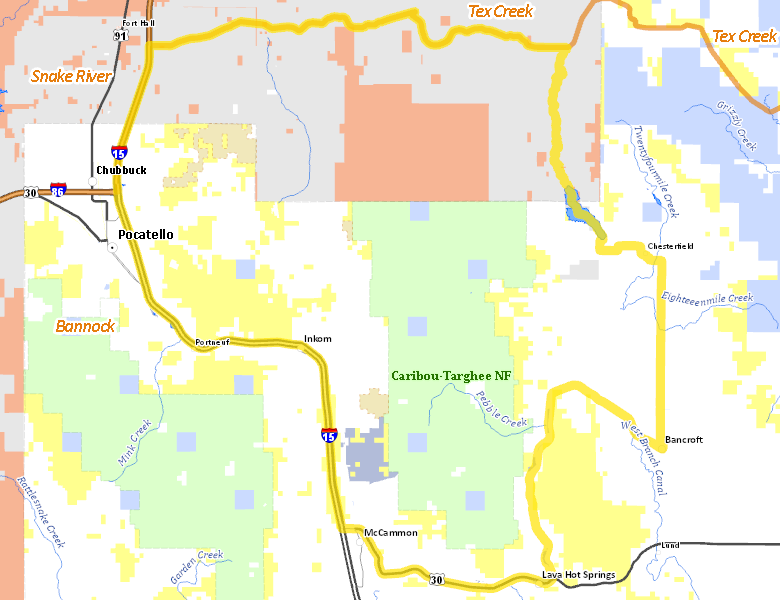 Those portions of BANNOCK, BINGHAM, and CARIBOU COUNTIES within the following boundary: beginning at Bancroft, then north on the Bancroft-Chesterfield Road to Chesterfield Dam, then upstream on the Portneuf River to the Government Dam-Fort Hall Road, then west to Fort Hall interchange, then south on Interstate 15 to U.S. 30, then east to the Pebble-Bancroft county road (old U.S. 30N), then northeast to Bancroft, the point of beginning. No properties are currently available in Unit 71. There are no wilderness areas in Unit 71.